Who doesn’t know IKEA? Well, everybody does. Whether you like it or not it is a matter of perspective but it is one of the most popular manufacturers of furniture. However, even after being so wildly popular Ikea has some very surprising fun facts that not so many people are aware of. We would like to bring some of these fun facts in front of you and don’t be skeptical about how surprising they are. Because we are absolutely positive you did not know about these facts. For example, did you know Ikea had a museum? You should know other such fun facts of this mega-successful furniture retailer. 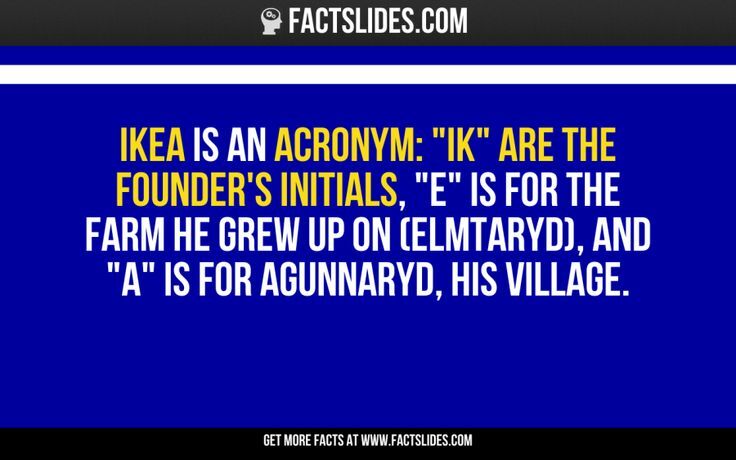 The name Ikea comes from the initials of the founder of the company Ingvar Kamprad and the farm and village e was brought up in, Elmtaryd and Agunnaryd. He always used to live a modest lifestyle and even after his huge success through Ikea, he was known to travel economy class whenever he had to fly.